Now these favourites won't come as a surprise, as they have been mentioned quite a bit on this here blog and my Instagram. 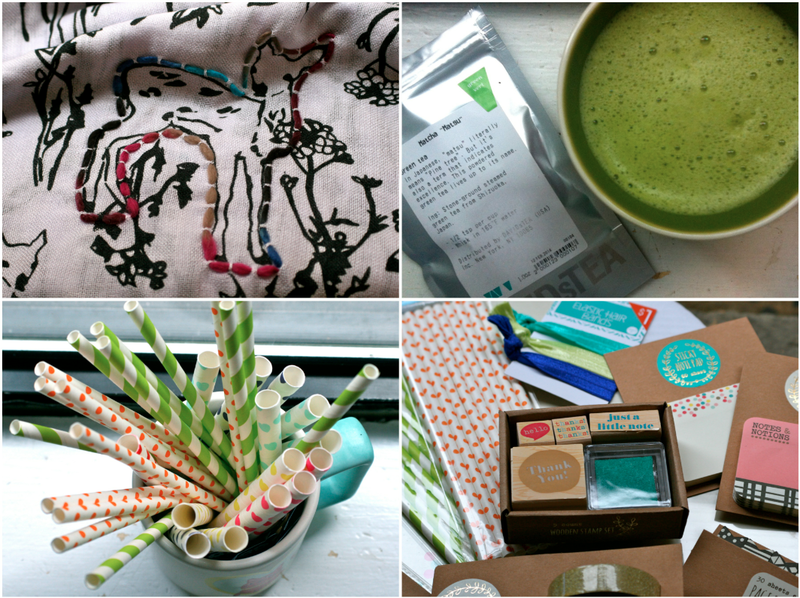 Anyway, here they are- my February Random/Non-beauty/fashion/lifestyle/.... favourites! I have been wearing this deer scarf, shown in this fashion haul, all the time this past month. I have even been wearing it to work, business casual style. When not in the office, I love pairing it with a chunky beige sweater, skinny jeans, and boots. I had a bit of an addiction to green tea lattes this month. It started with an order at Starbucks as a change from my usual chai or vanilla latte, and now I make them at home. I am planning on posting a recipe soon! Paper straws are a bit of a weird favourite, but I have become quite obsessed. I just think they are so cute. The Target OneSpot is a year-long, everyday, lifelong favourite, but this month I might have overdone it. I went like every other day to different Targets just to try to find the new items. Even though I haven't yet, I never left empty handed. Thankfully, you will be able to benefit from my addiction as I am hosting a giveaway on a few Target OneSpot stationery items! I love them so much, and I hope you do to. Also, I have to mention House of Cards as a television favourite. Season 2 was amazing! What were some of your favourite things in February?